Professor & HOD Dept. of Organon & Philosophy, MNR Homoeopathic Medical College & Hospital, Sangareddy. Research Director, Research Dept. of Research, MNR Homoeopathic Medical college & Hospital, Sangareddy. Former Chairman, Education committee, Central Council of Homoeopathy. Member –Regulation Committee, Central Council of Homoeopathy, Ministry of Ayush, Govt. of India. Former member of State level Expert Group of Rapid Action Epidemic Control Cell in Homoeopathy (RAECH), Govt.of Kerala. Faculty member of Rapid Action Epidemic Control Cell In Homoeopathy (RAECH), Govt.of Kerala. Question setter & Examiner, Bengal University of Health Sciences, West Bengal. PG Guide & PG Examiner, Bengal University of Health Sciences, West Bengal. Adjudicator of thesis of PG programmes of West Bengal University of Health Sciences. Subject expert of National Institute of Homoeopathy – NIH, Calcutta. Examiner, Kerala University of Health Sciences, Kerala. Examiner, Dr.MGR Medical University, Chennai. Question setter, Dr.MGR Medical University, Chennai. Served as Faculty Member of Health Education in Indian Institute of Administrative Science, Hyderabad. 38 years as Medical Practitioner. Editor, Printer and Publisher of IHK News, Trivandrum. Presented papers in 6 National seminars in Delhi, Noida, Kanyakumary, Nainital, Mumbai, Tirupathy. Delhi : Need of a proper calendar programme for University Examinations. Venue: During the 40th year celeberation of CCH at SIRI FORT Auditorium New Delhi. Noida: Common Skin Complaints in Children and Infants & its Homoeopathic management. 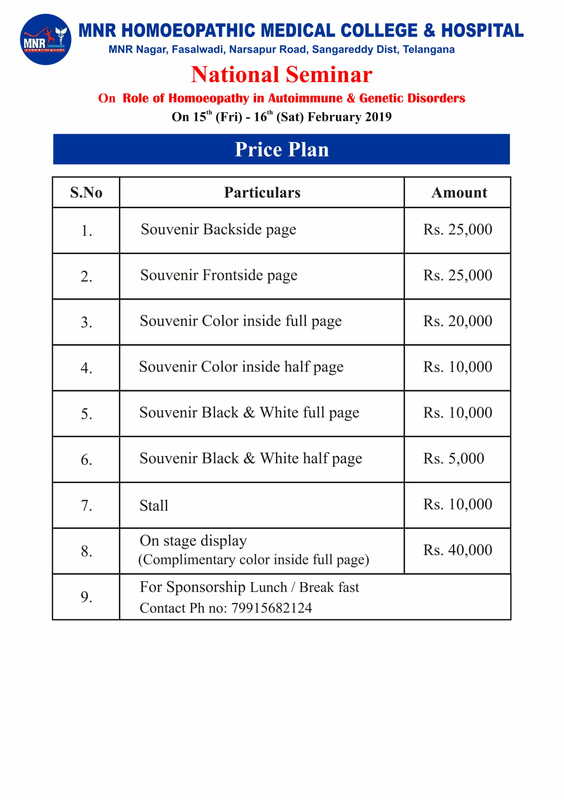 Venue: National seminar by Homoeo Youth – Greater Noida. Kanyakumary: Case taking & The Role of Casetaking in Homoeopathic practice. Venue: White memorial Homoeopathic Medical college Attoor Kanyakumary. Nainital: Efficacy of Homoeopathy in Prophylaxis. Venue: Chandola Homoeopathic medical college Ruderpur Nainital. Mumbai: Efficacy of Miasmatic prescription in the management of Renal calculi. Venue: YMT Homoeopathic Medical college KharGhar Navimumbai Mumbai. Tirupathy: Contributions of Indian Universities in Higher Education. Venue: Annual meet of Vice Chancellers at Sri Venkateswara University, Tirupathy. Presented paper at State level Seminar at Annual Convention of the Lady Doctors Wing- Sindooram at Kottayam. Subj: Common Skin Ailments in Children& Infants and its Homoeopathic management. Presented papers in the Workshop of Materia Medica organized by CCH at Udaipur, Goa, Mangalore and Kottayam. Presented papers in the Workshops organized by RAECH (Rapid Action Epidemic Control cell Homoeopathy, Govt of Kerala for medical officers and young doctors at Trivandrum, Kollam, Ernakulam, Kottayam, Trissur and Kozhikode. Resource person of workshop for faculties of Materia medica organized by Education committee of CCH at Udaipur, Rajasthan, Goa, Kottayam and Bengal. Subject : How to study polychrest remedies eg: Pulsatilla & Lycopodium. Resource person of workshop on improving the quality of internship of BHMS students by Education committee of CCH at Manglore, Delhi and Kanyakumari. Subject : Role of collegiate hospital in internship. Resource person of workshop for faculties of Surgery organized by Education committee of CCH at Delhi, Kanyakumari and Calcutta. Subject : Role of Homoeopathic therapeutics in the management of surgical case. Resource person of workshop for faculties of OBG organized by Education committee of CCH at Goa. Subject : Role of Homoeopathic therapeutics in the antenatal care & management. Resource person for RAECH (Rapid Action Epidemic Control Cell in Homoeopathy, Govt. of Kerala) for training programme for medical officers & young doctors. Awareness programmes of general public; Attending medical camps organized by IHK & RAECH. Subject: Mosquito bitten fevers and the efficacy of Homoeopathy at Technopark, AG’s office, Press club & Secretariat, Trivandrum. Subject: Epidemics and the role and efficacy of Homoeopathy in the various wards of Trivandrum coperation along with the RAECH team. Written articles in various national, state level journals and periodicals. Efficacy of miasmatic prescription in the management of renal calculi. Efficacy of Homoeopathy in Prophylaxis – parallel lines can meet together. A clinical study in the efficacy of miasmatic prescription in the management of uterine fibroids. Common skin complaints in infants and children and its homoeopathic management. Role of homoeopathy in antenatal care & management. 1) MCQ for PG Entrance for Homoeopathic doctors. Joined IHK in the year 1987 charter unit Attingal. Presently State Executive member, The Institution of Homoeopaths Kerala (IHK). 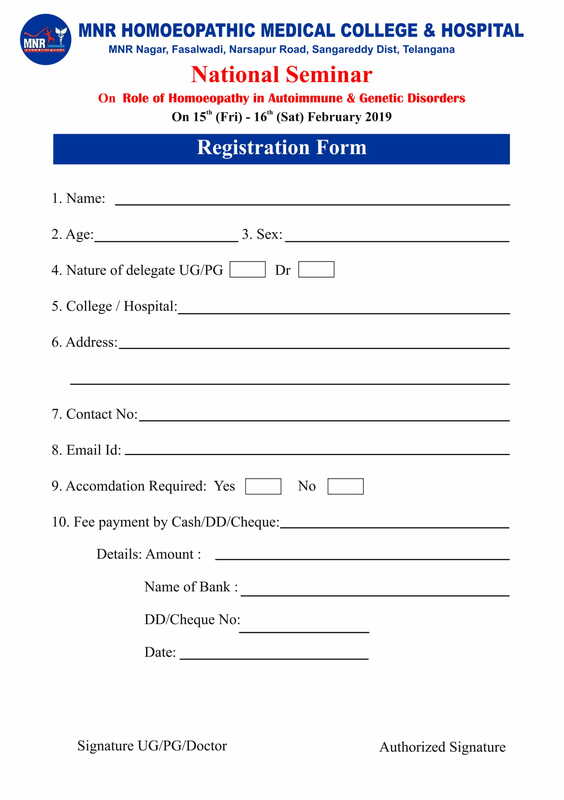 First secretary Liaison with Government the Institution of Homoeopaths Kerala 2002-2003; 2003-2004. 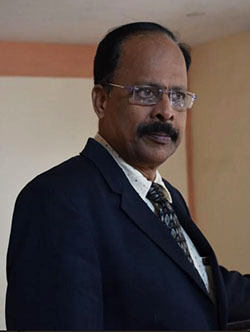 General Secretary the Institution of Homoeopaths Kerala 2004-05; 2005-06. Vice President the Institution of Homoeopaths Kerala 2006-2007. General Secretary the Institution of Homoeopaths Kerala 2007-2008. State President The Institution of Homoeopaths Kerala 2008-2009. Chief Editor IHK News – 2009-10; 2012-13 ; continuing as the printer and publisher of IHK news from 2012 onwards till today. Convener, National Coordination council of Homoeopathic Organizations, 2014-2015. As the special officer of IHK SSS drafted the BILAW, presented, piloted and included in the IHK BILAW as the 6th objective of IHK. Had actively involved and contributed 100% in the first and second keralayathra organized by IHK. Was the Chairman of the Organizing Committee of State Scientific seminar at Trivandrum in 2006. Lead the Secretariat march in 2008. Was the Chairman of the Organizing Committee of South Zone seminar of IHK in 2008. Lead Kerala Yatra (Snehasamanya Yatra) in 2009. Was the Chairman of the organizing committee of the family meeting of IHK at hotel Samudra, Kovalam, Trivandrum. Was elected as the chairman of the Coordination committee of homoeopathic organisations in 2014. Charter President-Jaycees Trivandrum Metro chapter. Presently working as Research Director of MNR Homoeopathic Medical College & Hospital, Sangareddy. A Clinical study on the efficacy of Miasmatic prescription in the management of Uterine fibroids. 1) Efficacy of Homoeopathy in the management of Alcohol De-addiction. 3) Role and efficacy of Homoeopathy in Multiple Drug Resistant Tuberculosis (MDR TB) in collaboration with District TB centre, Govt of Telangana. 4) Comparative study of different teaching methods in II BHMS students. 5) Efficacy of Parents Teachers Meeting for the 1st BHMS students. Excellence Award for the years 2002, 2004 & 2007 by Institution of Homoeopaths, Kerala. Winner Dr. Samuel Hahnemann National Award instituted by kerala Homoeo Shastravedi for the year 2008. Honoured by IHK on October 2017 for the contributions to Homoeopathy and IHK.